Samuel Munoz, a Ph.D. candidate in the Department of Geography at the University of Wisconsin-Madison, speaks Sunday about the environmental history of Cahokia during the Chicago Archaeological Society’s monthly meeting at the Evanston Public Library. Munoz has studied the environment of Cahokia, a region in southern Illinois that was home to the Native American Mississippian mound-building culture. Members of the Chicago Archaeological Society discussed potential reasons Native Americans abandoned the Cahokia region of Illinois around 1200 A.D. at the group’s monthly meeting at the Evanston Public Library on Sunday. The discussion focused on the environmental history of southern Illinois’ Cahokia region, which is near St. Louis and the Mississippi River. The region was the home of the Mississippians, a Native American culture. At its peak from 1050 to 1200 A.D., about 10,000 to 20,000 people lived in Cahokia. Exactly where people migrated to and what tribes they formed has yet to be determined, according to the Cahokia Mounds website. 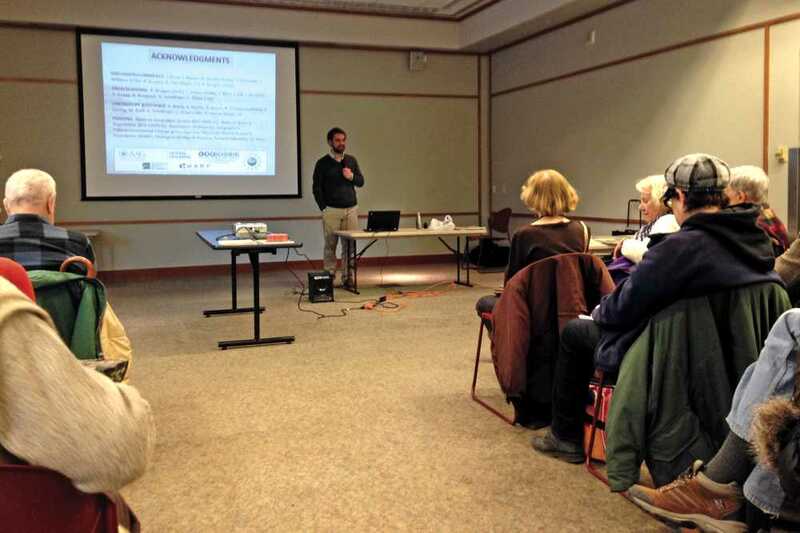 Samuel Munoz, a Ph.D. candidate in the University of Wisconsin-Madison’s geography department, spoke at EPL to an audience of about 30 people on his research of Cahokia’s environment. Munoz talked about his research on Horseshoe Lake, one of the parts where Cahokia settlements once existed. “We still are fascinated by this site,” Munoz said. Munoz explained the different hypotheses for why Cahokia was abandoned. He explained how people believe warfare, sociopolitical upheaval, resource exploitation and climate change lead to Cahokia’s disintegration. During a Q&A session at the end of the presentation, Munoz said corn was the main crop in the Cahokia region. Audience members asked numerous questions relating to Munoz and his research. Marco Lisle, another audience member who has been to the Cahokia region several times, added that New Orleans and its levees today relate to Cahokia and its flooding problems in the past. Munoz also commented on learning from the past. He said environmental change and sociopolitical change work as a “two-way street,” as humans affect environments while environments affect humans. “When we look to the past it can kind of teach us lessons about the importance of a changing environment and sort of societal well-being,” Munoz told The Daily.